Our interactive map linked to a detailed search system gives you the opportunity to find your former alumni fellows and future partners wherever they are right now. You can initiate search based on different data such as: name; gender; country of origin; residence country; residence city; studies in Hungary (institution, scholarship scheme, date) etc. 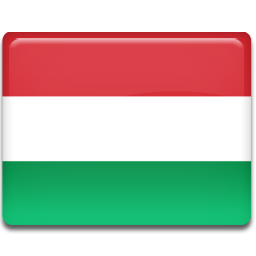 We hope to meet you soon in the Alumni Hungary community! On July 5, 2018 the leadership of the University of Nyíregyháza received a delegation of 30 people from ABRUEM (Brazilian Association of Rectors of State and Municipal Universities), which represents 45 state and municipal universities (and their 700 thousand students) in Brazil, and which organisation had decided at its annual general meeting last year that in 2018 Hungary would be designated as a target country for its professional journey, including a visit to the University of Nyíregyháza. From the 2018/2019 academic year, a new student within the framework of Stipendium Hungaricum scholarship programme will join the University of Nyíregyháza. Leandro Vicente comes from Angola, and he will start his studies in Engineering BSc in Hungarian. At the University of Nyíregyháza, Benjámin Virág and István Ádám Tarkó, second year Engineering students have taken up the job of mentoring the incoming students. On Thursday, July 5, 2018 the leadership of the University of Nyíregyháza received a delegation of 30 people from ABRUEM (Brazilian Association of Rectors of State and Municipal Universities), which represents 45 state and municipal universities (and their 700 thousand students) in Brazil, and which organisation had decided at its annual general meeting last year that in 2018 Hungary would be designated as a target country for its professional journey, including a visit to the University of Nyíregyháza. The delegation (their members include 21 Brazilian rectors, and the heads of the delegation: Aldo Nelson Bona, President, ABRUEM; Adélia Maria Carvalho de Melo Pinheiro, Vice-President, ABRUEM; Carlos Roberto Ferreira, Executive Secretary, ABRUEM, and the representatives from the Hungarian Rectors’ Conference) were greeted by the leadership of the University of Nyíregyháza. After Rector Erika Vassné dr Figula had delivered her salutatory address, the guests were invited to listen to a folk music program by the teachers and students from the Institute of Music, then they were able to get acquainted with the courses, research programmes and international relations of the University of Nyíregyháza as presented by Dr Péter Tarján, international rapporteur. In the second part of the official program, the delegation had a tour of the campus, then took part in consultation and discussion. On behalf of Nyíregyháza, City of County Rank, Dr Sándor Szemán, Titulary Chief Town Notary, and, on behalf of the Assembly of Szabolcs-Szatmár-Bereg County, Dr Tibor Székely, Vice Notary, participated in the event. The University of Nyíregyháza accepts student nominations in the Erasmus+ program until 30th June, 2018. You can apply on the “Online Application” Menu! From 16 to 18 April 2018, the University of Nyíregyháza organised a conference entitled Nyíregyháza Thematic University: Universities for the European Cultural Dialogue financed by the EFOP-3.4.3-16-2016-00018 Knowledge Development and Utilization project, which was followed by the event called II. Erasmus+ International Days: Education Without Borders within the Erasmus+ 2016-1-HU01-KA103-022497 project. The objectives of the international series of programmes were to promote the University of Nyíregyháza, to uphold the level of cooperation with the foreign partner institutes, to prepare international training programmes, and to motivate people to participate in international mobility programmes. The foreign guest lecturers gave exciting lectures to the interested people in both English and Hungarian. The representatives of the partner institutes imparted their experiences based on the practices of their own institutes. Dr Dariusz Bartkowski representing the Poznan University of Technology, Poland; Dr Andrea Hamburg representing the University of Oradea, Romania; Dr Eugen Ungureanu representing Alexandru Ioan Cuza University, Romania; Dr Gabriella Coca representing Babes-Bolyai University, Romania; Dr Ildikó Orosz, Rector of the Ferenc Rákóczi II Transcarpathian Hungarian College of Higher Education. On behalf of the University of Nyíregyháza, Dr Ferenc Kiss, Erika Nagyné Dr Schmelczer, Dr László Barabás, Dr Magda Ajtay-Horváth, Dr Ferenc Veres, Dr Gábor Páy, and Éva Dudás. As a worthy completion of the II. Erasmus+ International Days our county was introduced to the guest lecturers invited to the event and to the 32 Erasmus+ foreign students present at our institute. Under the guidance of Dr Kálmán Kiss and the Luby Association, there was an excursion full of experiences comprising a visit to the Márapócs National Shrine, furthermore a presentation of the folk artefacts such as various folk objects, weaving loom, mangle, and many other things, in Bereg Museum. In Túristvándi, on the bank of the River Túr, we turned into a guest house, built according to local characteristics, for a delicious Hungarian lunch. We had real culinary delights in the guest house called MegálmodtaLAK (’The House I Dreamt Of’). We paid a visit to the Móricz Zsigmond Memorial House in Tiszacsécse, where we learnt a great deal about the writer. We continued our journey to Szatmárcseke, where we visited the Kölcsey Monument. After these stops, we rushed to Nagyar, where we visited the Petőfi Tree, the Petőfi Memorial House, and finally, we turned into the magnificent Luby Castle. We were invited to the castle’s Palm House, which was an extraordinary experience. We were served an amazing dinner in the Luby Castle, which proved to be an unforgettable adventure. The University of Nyíregyháza has the intention to organise this series of programmes next year. Follow the International Relations Group of the University of Nyíregyháza on Facebook for the latest news about the available scholarships! On Tuesday, 20 March, 2018, the event called Mobility Café was organised once again by the International Relations Group of the Student Service Center at the University of Nyíregyháza with the general aims to provide information to our students on the possibilities of the Erasmus+ and Campus Mundi scholarship schemes as well as to motivate them to participate in mobility actions. As the first part of the event, Éva Dudás, Erasmus coordinator gave a briefing to the interested about the possibilities of staff and student scholarships available at the foreign partner institutes of the University of Nyíregyháza. She raised several issues which are controversial for the students, that is, the terms of the application procedure. She emphasized that students who are willing to take part in Erasmus mobility are given a preparatory language course before their departure. In the second part of the Mobility Café, Andrea Vaskó, the HR representative for Hübner-H Ltd., a Nyíregyháza-based German company delivered a lecture. Andrea Vaskó, a former student of our institute’s predecessor told us that during her years as a student she had taken part in three international mobility programmes, and those events helped her develop her foreign language skills and gain professional experience, which later proved beneficial to her career. The good-humoured meeting ended in an informal way with an opportunity for discussion an consultation. It is the intention of the organisers to continue this series of events and to invite additional guest lecturers. For more information on Erasmus+ and Campus Mundi programmes, please visit the website of the International Relations Group of the University of Nyíregyháza or our students can contact the staff of the International Relations Group personally at the Student Service Center. International Relations Group, which is a part of the university’s Students Service Center, organised the Mobility Café event once again on November 21, 2017 with the general aim of providing information to the students of the University of Nyíregyháza about the possibilities of the Erasmus+ programme and encouraging students to take part in mobility-related activities. As the first section of the Mobility Café event, Éva Dudás, Erasmus coordinator, gave a short introduction to those interested on the available student and staff scholarships, emphasizing distinctly the fact that students can be given help in their foreign language preparation. According to the briefing, the Erasmus+ programme is currently available for the students in two arrangements: In its longer version, students can pursue their studies abroad, whereas, in its shorter layout, which can also be obtained in the summer, they can be involved in a traineeship at a workplace chosen by the participant. As a further possibility, students can apply for the Hungarian State Campus Mundi scholarship in which they can study even outside Europe at a higher education institute selected on their own. In the next part of the Mobility Café, Kristóf Gergely, Teacher of History and Hungarian MA, gave a lecture and a travelogue to those present about the months he had spent in the city of Lublin in Poland as a participant of the Erasmus+ programme. The student who had taken part in the Erasmus+ programme elaborated that winning the scholarship had proved to be an excellent opportunity for language learning, professional and study development as well as for getting to know a new culture and new friends, for unwinding and absorbing experiences. The convivial event concluded as it had become usual, in an informal, conversational way with an opportunity for consultation on the topic. The organisers are planning to continue the event in the future with the invitation of additional lecturers. Further information on the Erasmus+ programme is available on the webpage of the International Relations Group of the University of Nyíregyháza (nye.hu/international), likewise, every student is entitled to contact the Erasmus coordinator with their inquiries at the Student Service Center of the University of Nyíregyháza.